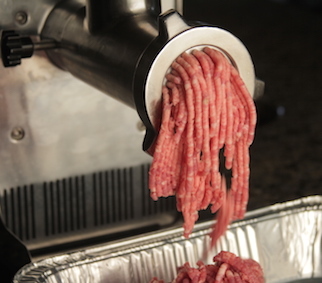 To make the burger meat, cut your beef into pieces that will fit in your grinder. Grind the beef and bacon with a small die (4.5 mm). 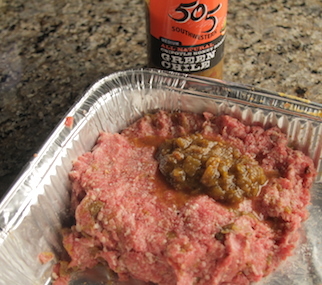 Mix in the 505 Southwestern Honey Chipotle Green Chiles and salt by hand. Form into six patties. Sprinkle each side with McCoy’s Meat Seasoning. Rest, covered in the refrigerator. Preheat your Yoder Smokers YS640 to 450ºF, set up with GrillGrates. 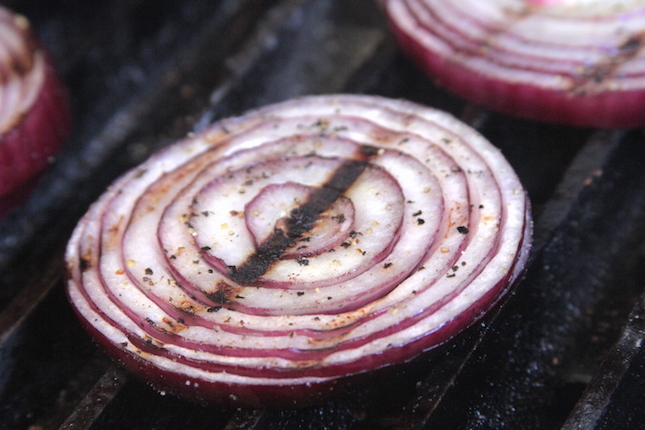 Rub a little grape seed oil on each side of your red onions slabs. Sprinkle McCoy’s Meat Seasoning on both sides. Grill onions on each side, until softened and browned on the edges. Remove from cooker and set aside. Butter the insides of your burger buns. 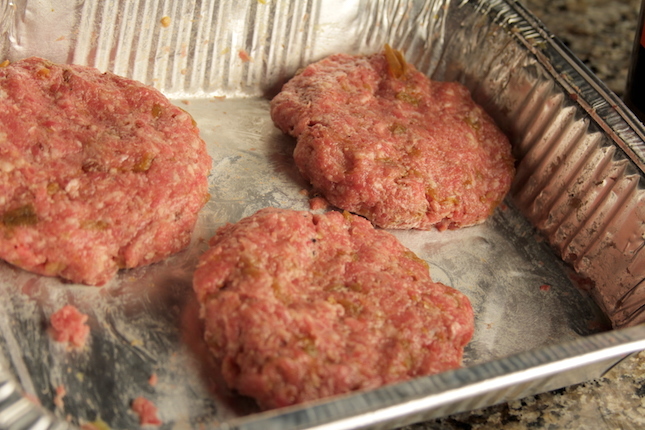 Grill them, cut side down, until lightly browned and crispy. Remove and set aside. 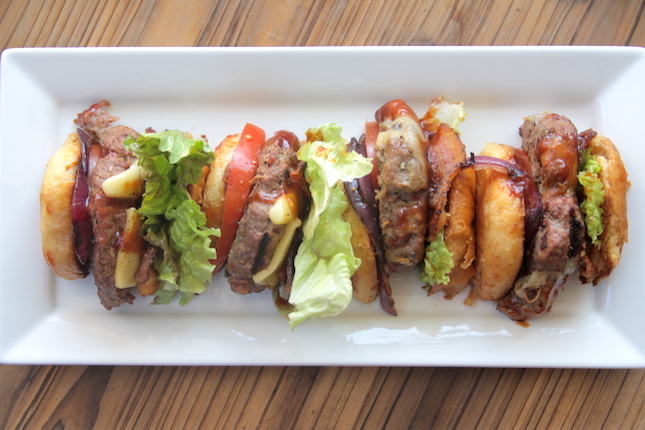 Place your burgers on the grill. 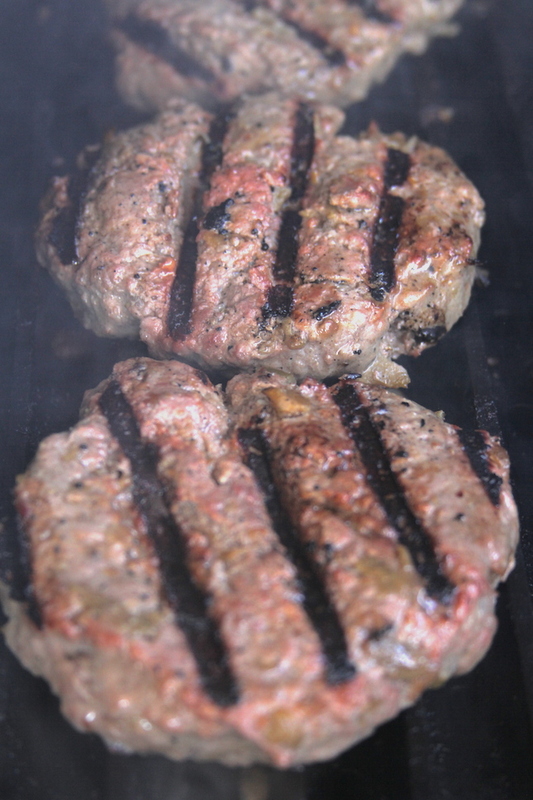 Grill to achieve grill marks on the first side, about four minutes, then flip and grill to an internal temperature of 145ºF. Check the internal temperature with an instant read thermometer like the Maverick PT-100. 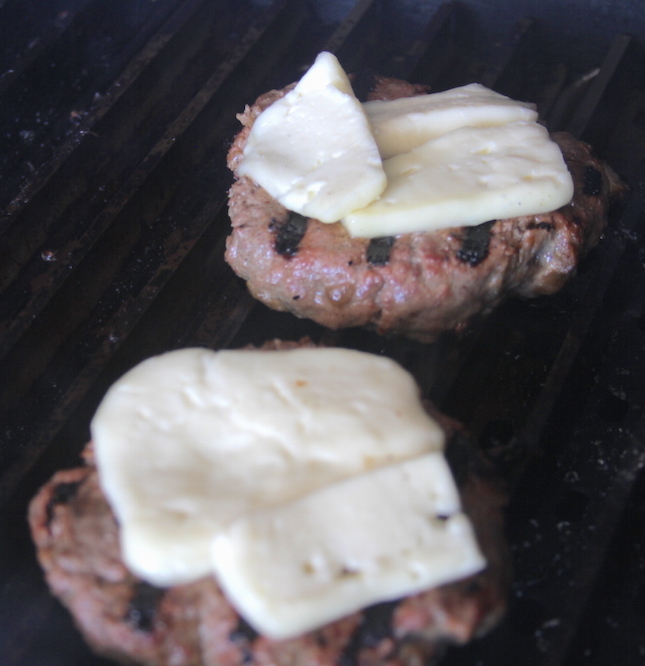 As you remove burgers from the cooker add the cheese. Cover and wait for cheese to melt. Assemble burgers: bottom bun, tomato, onions, burger with cheese, two slices of bacon, Big Rick’s Chipotle Ketchup, lettuce and top bun.